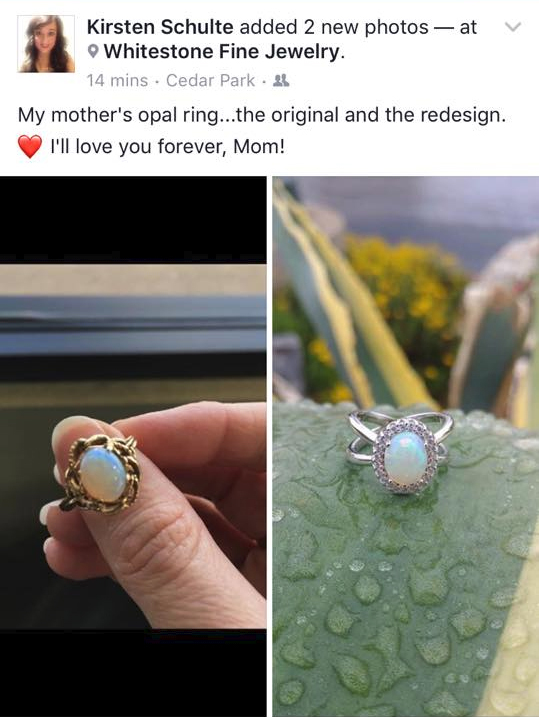 We made this ring for Kirsten, the ring belonged to her mother and this is the 25th anniversary of her passing. G2 said, “It’s awesome when you can create pieces like this for guest. We don’t always love the jewelry we inherit but we do love the person whom wore it. Let us recreate family pieces for you. Thanks Kirsten”.